This heart-shaped body of water may look cute for Valentine's Day but just as love sometimes fades, this emerald sea is withering away. By the end of the 1980s, it had split into the Small Aral Sea in Kazakhstan, and the horse-shoe shaped Large Aral Sea shared by Kazakhstan and Uzbekistan. Now only about 10% of the size it once was, the demise of this oasis is a striking example of humankind's impact on the environment and natural resources, and reported to be one of the world's major ecological disaster areas. 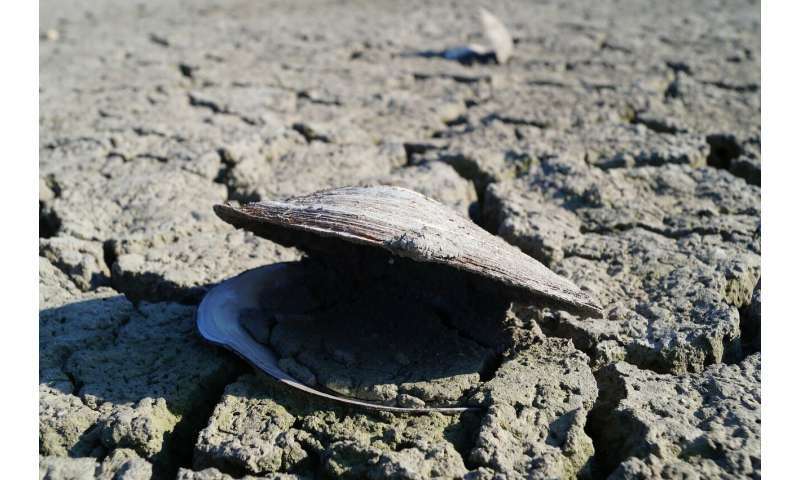 The sea's entire southern section is expected to soon dry out completely, but efforts are underway to save the northern part. The Kok-Aral dike, a joint project of the World Bank and the Kazakhstan government, was constructed between the northern and southern sections of the sea to prevent water flowing into the southern section. Since its completion in 2005, the water level has risen in the northern section by an average of 4 m.
While this may not be a tale of blossoming love for Valentine's, we can draw some parallels: keeping love alive may, at times, mean putting the effort in, and keeping our planet healthy also takes work. Fortunately we have satellites orbiting Earth, keeping a very close eye on changes taking place, both natural changes and those linked to human activity, so that information is readily available to help steer the course of action.